Golden Crown Depot is well established as one of the major wholesale produce suppliers in South Florida. We offer a full line of the highest quality tropical fruit, vegetables, roots and dry goods. The company is perfectly positioned to supply South Florida supermarkets and food stores with the highest quality tropical produce. We grow and import fresh tropical product from many Latin American and Caribbean countries on a daily basis. We are constantly sourcing the best fresh produce in the market with the goal of satisfying our customers’ needs. We are committed to our customer satisfaction through quality and service. 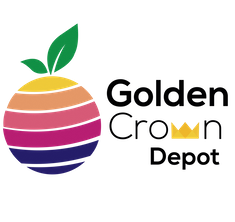 Golden Crown Depot is a family owned and operated company. It is managed by Ernesto Ruiz-Sierra who has been in the produce wholesale business for over 20 years. Our professional experienced team, brings to our customers the best tropical produce offerings available in the market. Golden Crown Depot is located in a 41,000-square ft. facility very close to Miami International Airport. We are PRIMUS CERTIFIED. We offer door-to-door distribution to all South Florida customers. Deliveries to local customers are made daily by our company’s truck fleet. We ship weekly nationwide. We are willing to become your tropical produce partner and help you solve all of your fresh tropical produce supply needs to make your business grow.